Just ahead of the 50th anniversary of the assassination of Sen. Robert F. Kennedy in Los Angeles, conspiracy theories still abound. The latest to add his voice to the chorus of those who believe there was a second gunman is the victim's son - Robert F. Kennedy jr.
Sirhan B. Sirhan, a 24 year old Palestinian immigrant was arrested and later convicted of the shooting at the Ambassador Hotel shortly after midnight on June 5th, 1968. 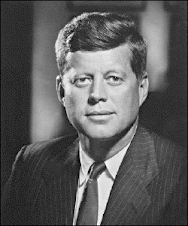 Kennedy, a presidential candidate at the time, was mortally wounded after celebrating his victory in California's Democratic primary. Although Sirhan was captured at the scene with a .22 caliber handgun in his hand and later admitted that he shot Kennedy, new evidence has emerged over the years that suggests there may have been as many as 13 shots fired that night. Sirhan's gun held only eight bullets. There has also been disagreement among experts over the years about whether some of the recovered bullets were fired from the same gun. 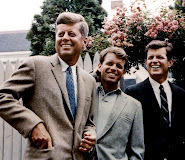 In a recent interview with the Washington Post, Kennedy's son says that he has conducted his own detailed research into the assassination and now believes there was a second gunman. He is calling for a new investigation. He also revealed for the first time that he visited Sirhan last December at the Richard J. Donovan Correctional facility near San Diego. "I got to a place where I had to see Sirhan," Kennedy told the Post. I went there because I was curious and disturbed by what I had seen in the evidence." Kennedy who was 14 when his father died, did not disclose what he and Sirhan talked about. But after their three hour conversation, he concluded that there was a second gunman at the hotel the night of the shooting. "I was disturbed that the wrong person might have been convicted of killing my father," Kennedy told the paper. "My father was the chief law enforcement officer in this country. I think it would have disturbed him if somebody was put in jail for a crime they didn't commit." 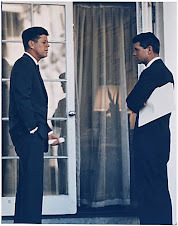 After delivering a victory speech at the Ambassador, Kennedy and his entourage were on their way to a news conference elsewhere at the hotel, taking a shortcut vis the kitchen pantry when the candidate stopped to shake hands with some of the staff. Suddenly, gunfire erupted, with bullets hitting Kennedy in the back, through his armpit and another into his brain. Five other people were injured, including Paul Schrade, a regional director of the United Auto Workers union and a key Kennedy supporter. He survived the shooting and also told the Post that he believed that a second gunman actually killed Kennedy. An autopsy report found Sirhan had been standing in front of Kennedy when he was shot and so conspiracy theorists have argued over the years that this would have made it impossible for a shot to have hit Kennedy in the back. 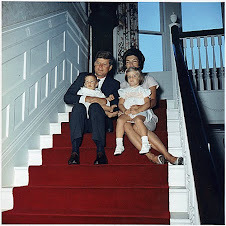 But others have argued that Kennedy turned around after the first shot to try to protect himself. Sirhan, now 74 was initially convicted of first-degree murder and sentenced to death for the crime. But, his sentence was later commuted to life. His requests for parole have repeatedly been denied. Schrade, now living in Laurel Canyon, told the Post that he was the one who convinced Robert Kennedy Jr. to reexamine the evidence regarding a second gunman. "Once Schrade showed me the autopsy report," Kennedy told the paper "then I didn't feel like it was something I could just dismiss. Which is what I wanted to do." Russell Iungerich, an attorney from Rancho Palos Verde, worked as a deputy attorney general for the state of California when officials reopened the Kennedy case from 1975 to 1976. He said Robert Kennedy's words did not have any merit. "His comments are just way off base," Iungerich said. "When you add up all the evidence produced at the hearings, there's no way you can configure the evidence to say that there was a second gunman. RFK jr. may believe this because he talked to Sirhan," he added, noting that Sirhan had worked as a groom at Hollywood Park and he was kicked in the head by a horse which created some brain damage" and he had some delusional thinking about RFK."